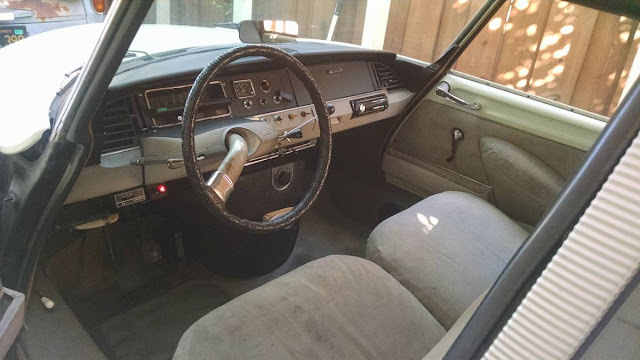 Drive a classic late 60s car and you are admitting some stuff to folks who pay attention. Let's start with the easy one: 67 Camaro -- I love 'Merican beer. 67 Mercedes-Benz 200D Fintail -- I'm not in a hurry to go anywhere. 67 Chevy C10 pick -- I would have voted for Trump if I my car had started. 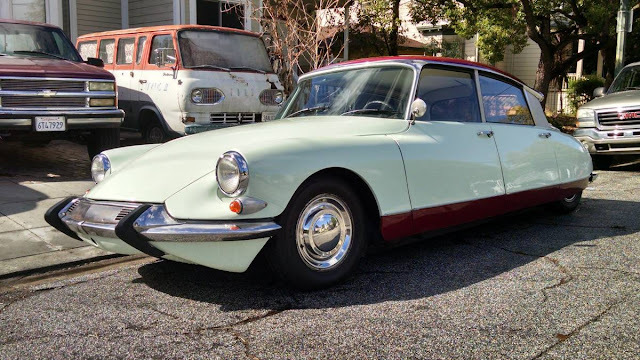 67 Citroen ID/DS -- I play the lute at SCA gatherings. Find this 1967 Citroen ID19 offered for $17,000 in San Jose, CA via craigslist. Tip from Kaibeezy. 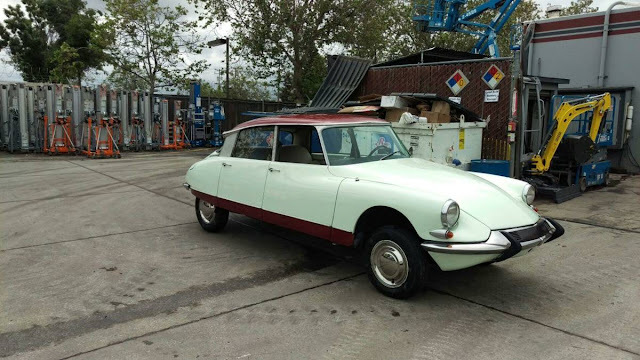 Driving a classic Citroën makes a strong statement. Actually, it makes a few statements -- first, you are not the average person, and second you've probably made sculpture out of your earwax in the past week. These are strange cars from a strange world. The inline-4 engine is mounted aft of the front wheels, but the transmission is under/ahead of the engine and connected to the front wheels. This one has a 2.1 liter engine from a DS21 which puts out 115 horsepower...no it isn't fast, don't even ask. The funky styling isn't just limited to the aerodynamic exterior, but in typical French fashion it continues to the inside. The steering wheel is a single spoke freak of nature and the controls are laid out in a haphazard fashion that will take some acclimation. Great memories when I see this car. I grew up in Detroit in the 60s. There were 2 or 3 of these gliding around our neighborhoods on the East Side. In this car town, the ID/DS was in a class by itself. And I never saw one broken down by the roadside. Damn these are pretty. Too bad I've never seen one in the flesh. Beyond cool in the flesh. If the orbs are newer and the system has zero rust , it is rare to find. This model is the easiest to work on, but not easy comparative to normal US stuff. The club of like folk and knowledge is a necessity. I have a fantasy of buying one of these and making it a 1970s cycling team support car. Put a few classic Peugeots on the roof, wire in a expresso machine, and a motivational speaker on the roof. I would drive around with a large mustache yelling allez! allez! smoking cigarettes and pass out sprites and ham croissants to cyclists. Possibly the most comfortable auto seats ever. And these are not so rare. France and North Africa still have a lot on the road. And what statement is the person driving that Ford Econoline making? These are amazing cars to drive (or even just to ride in). Thanks to the self-leveling suspension, the dynamics on the road are starting. Braking is especially different. Front pitch is almost non-existent. You have the impression that the entire car squats into the road, as if gravity suddenly got stronger. People talk about them being very complex, but it is more a matter of wrapping your mind around a different technology. Once you have a concept of the hydraulics, it is not all that daunting. However, rust (both internal and external) are the great enemy of a DS/ID. 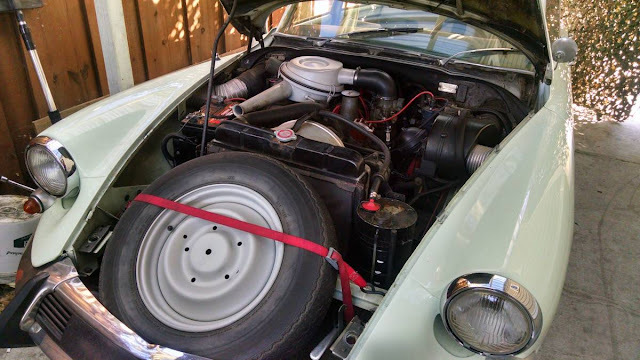 This particular car should be a "red fluid" system (normal DOT brake fluid, as opposed to the LHM mineral oil used in later cars) and so it will be more prone to internal system rust.